The Christmas Carol War by Sabrina Justison is a 14-page drama designed for use as a children’s Christmas play. It may be memorized, rehearsed, and produced as a “real play,” performed with scripts in hand for a fun readers’ theatre event, or just read aloud in a group or at a family celebration for practice with interpretative reading skills. It tells the story of a Children’s Church group preparing their annual musical for church at Christmas, but also given the opportunity to carol at a local department store. The catch? The store manager doesn’t want it to be “an hour of songs about the Baby Jesus,” and the church leaders can’t agree about whether or not Frosty the Snowman is an appropriate guy for the kids to sing about! The play culminates in a “carol-off” at practice, as the two “warring” leaders have the kids battle it out with songs. In the end, everyone — leaders included — are reminded that at Christmastime we are to “Go tell it on the mountains, over the hills and everywhere…that Jesus Christ is born.” If we can share the LOVE of Christ with the world, they will give us the opportunity to share the saving MESSAGE OF THE GOSPEL with them as well. 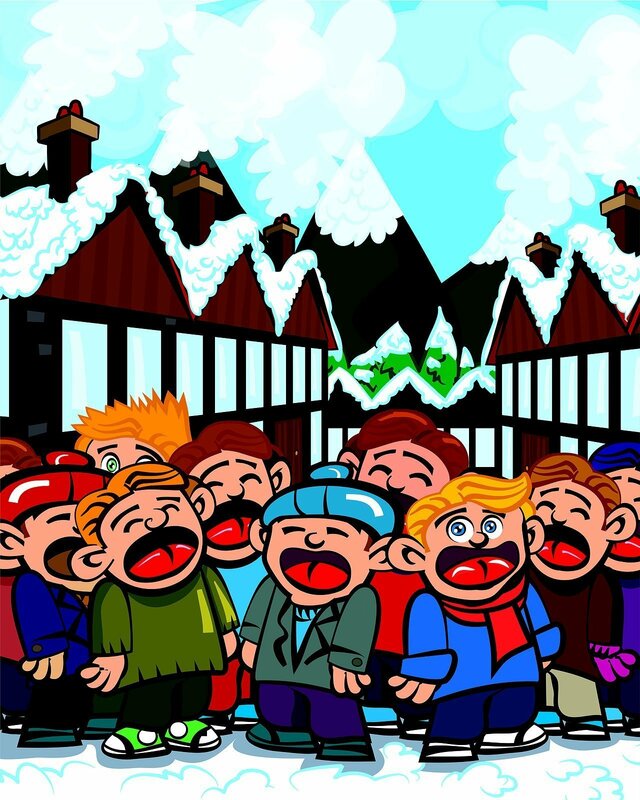 Traditional carols are recommended for the carol-off, as well as new words to an old favorite, and these may be sung a capella or using standard piano or guitar accompaniment from music readily available in Christmas carol books or hymnals. PURCHASE OF THIS SCRIPT INCLUDES PERMISSION TO MAKE COPIES FOR YOUR GROUP. This permission applies ONLY to “The Christmas Carol War.” Please respect copyright and follow appropriate permissions directions regarding the other scripts from 7SistersHomeschool.com.